After our dental appointment at Dentista Inc. in Shangri-La Plaza Mall, hubby treated us to dinner at Secret Recipe. 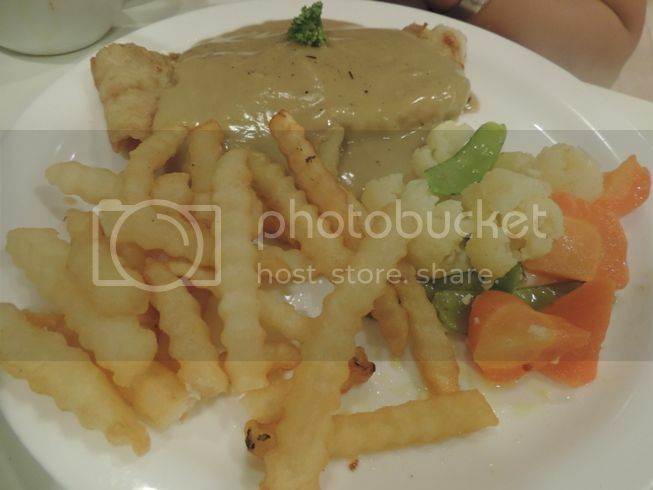 We had Singapore Laksa, Kid’s Fish and Chips, Pan-Grilled Dory with Lobster Sauce and Chicken Parmigiana with Rice. We wanted something to warm our tummies, so we ordered Singapore Laksa. Hot and spicy was a perfect food combination for the cold, rainy weather. This coconut-based soup had shrimps, tofu, fish cake and mung bean sprouts. The broth was flavorful, and it nicely complemented the mix of ingredients. It was delicious! Well, yes, you guessed it right, this one’s for the little boy. 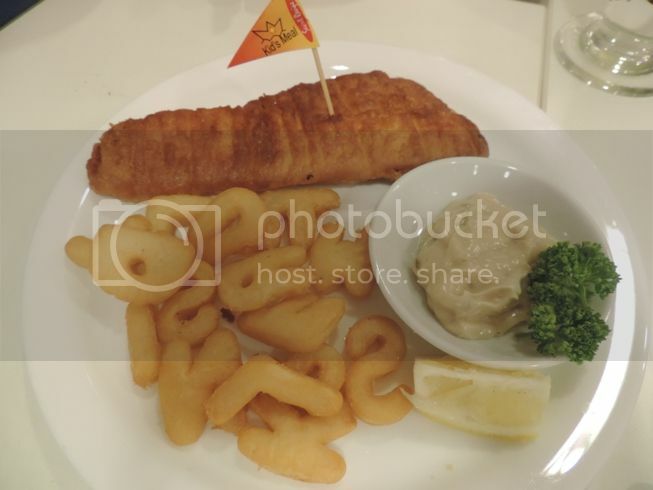 Kid’s Fish and Chips included crispy, golden-fried dory fillet with tartar sauce and alphabet fries. Justin enjoyed the fish fillet so much that he wanted to place a repeat order. Lol! My choice was Pan-Grilled Dory with Lobster Sauce. The buttered veggies were delightfully crunchy, the French fries were okay, but there was nothing special about the lobster sauce. It actually tasted like ordinary gravy. 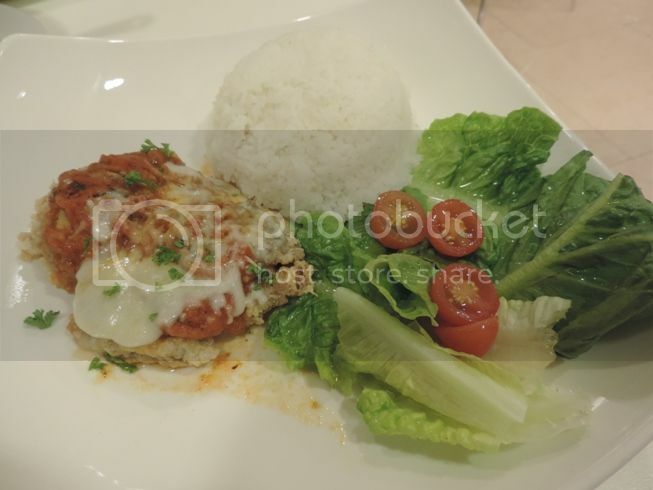 Hubby was intrigued because this was a new item on the menu, so he ordered this Chicken Parmigiana with Rice. He said it was okay. He ate the chicken and rice but gave most of the vegetable salad to me. We had drinks and desserts, too. Watch out for my review of these food items in my future blog posts. This entry was posted in Asian Cuisine, Food Friday, Food Trip Friday, Secret Recipe, Shangri-La Plaza Mall. Bookmark the permalink. WOW! The Pan-Grilled dory with lobster sauce looks delish! 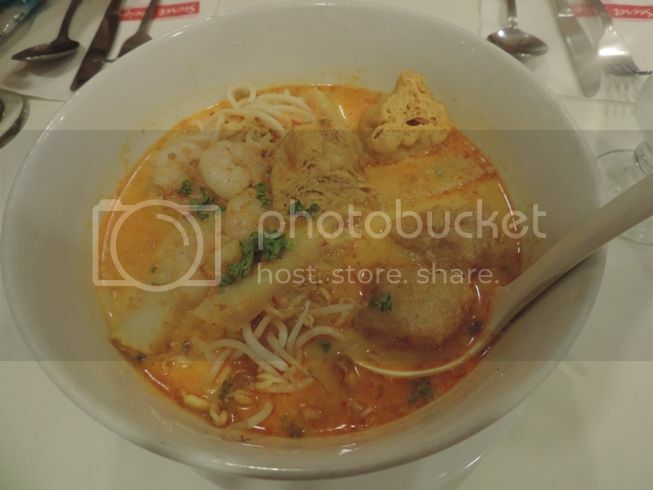 I want to try that laksa! I forgot what i ordered at Secret Recipe before,..I think we just had desserts. Eating at Secret Recipe is always so fulfilling and yummy! Nakakagutom at miss tuloy!